Coast Air Quality Management District. Beyond that, Keeler is a puzzle-solver. 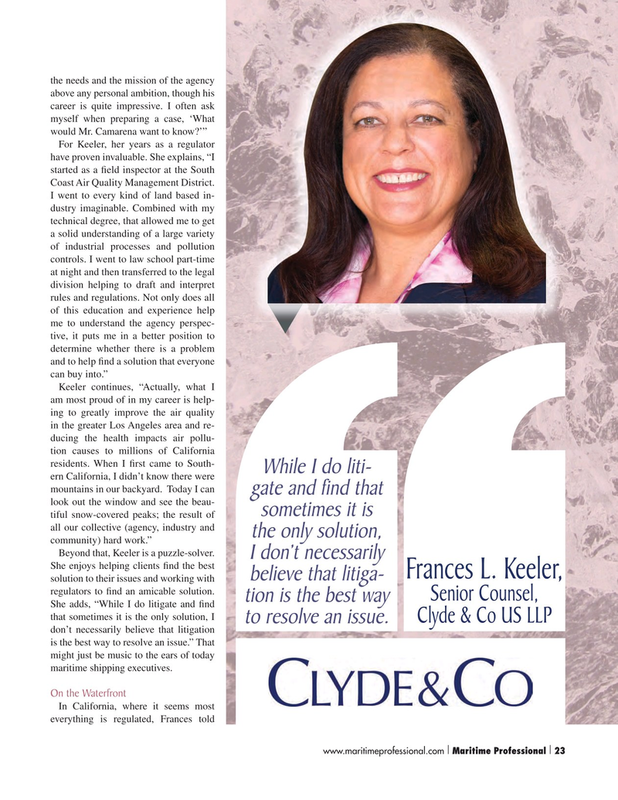 Frances L. Keeler, believe that litiga- solution to their issues and working with regulators to ? nd an amicable solution. Clyde & Co US LLP to resolve an issue. don’t necessarily believe that litigation is the best way to resolve an issue.” That might just be music to the ears of today maritime shipping executives.